Ooofda! Things are heatin' up! Well not weatherwise, but project wise!!! Last week on Thursday I had an awesome opportunity to go see Craig Thompson give a little talk at Quimby's and do some book signings. I was super-duper jealous that CCS got to have Craig and that I was gonna miss him. BUT my luck would have it that he'd pass through Chicago on his book tour! His talk was good, there was a great turn out. I went with my friend Ian McDuffie, but we also ran into Neil Brideau, Sam Sharpe, Nate Beaty, Laura Park, Jeremy Tinder, Jeremy Sorkin, Aaron Renier, and a few of my students! 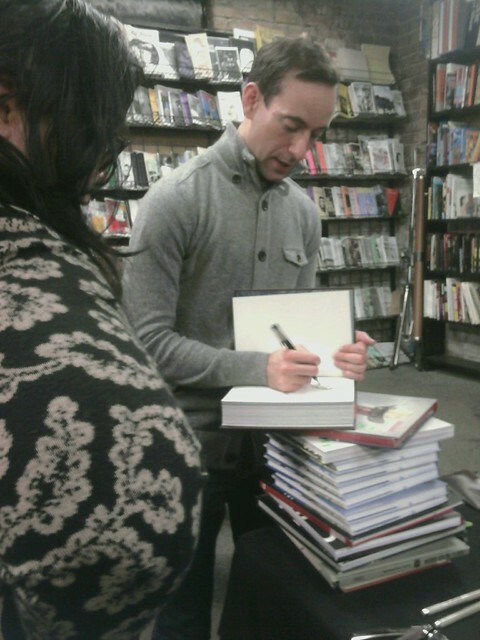 And of course he signed my books. He was very sweet, and it was great to meet someone who's work I've always found very impressive. Especially Goodbye, Chunky-Rice. There is just something about that book that kills me every time. With Habibi, I'm still not sure I have fully unwrapped everything's he's put into it. Also check out that debosser of the Magic Square!!!! 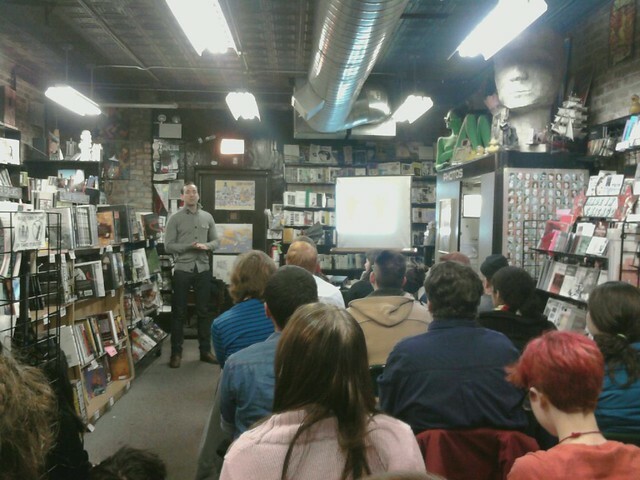 In his talk, he talked a lot about how comics and music are very similar and related. Both very intimate art forms, but you have to be able to read the notes. 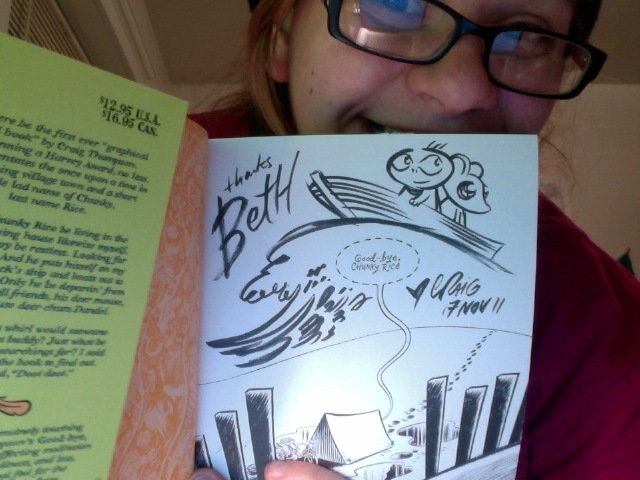 It made me feel so excited about comics, cartooning, teaching, creating, everything. Woof. What a great night. 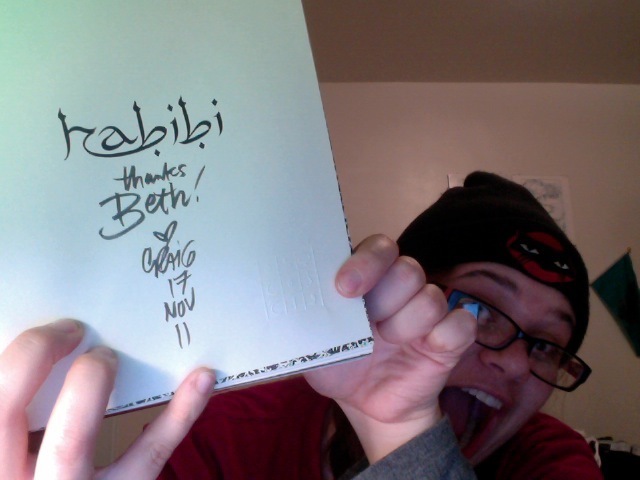 AND on top of that, the next day I got to go spend my morning drawing with Neil Brideau and Sam Sharpe. A few VERY cool dudes. Later that day, it was another jet-set evening off to Columbus, OH for an SAIC Portfolio Day. As usual, traveling with BFF Kyle is a hoot, we had some great gluten-free pizza and talked about our book. (YES this is STILL happening) We're quite behind for the NaGraNoWriMo, but we're committed to the project and will be seeing it through to the end. We're gonna see how far we can get traveling at full speed by the end of November. After that we'll be shooting for an early December completion. Here are some more sneaky-peaks at what is to come of this project! Check out that fat stack! Hot Air Balloons, dynamite, reverse reading direction...Oh MY!! I also have a few mini's up my sleeves that I'll be drawing and producing in the coming weeks. 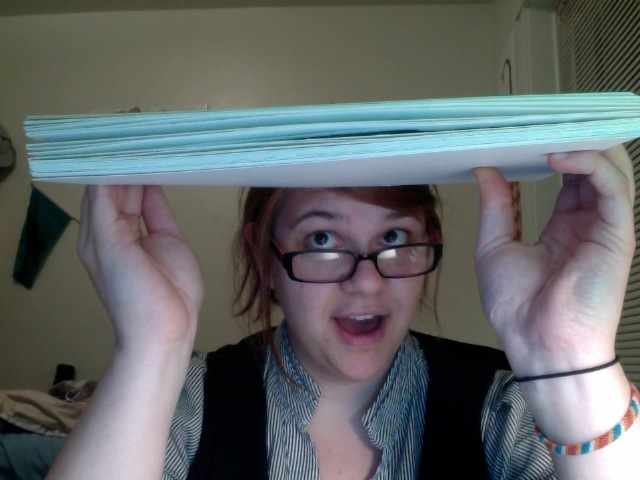 Once this semester is over, I'll be diving head-first in to the final act of FUGUE. 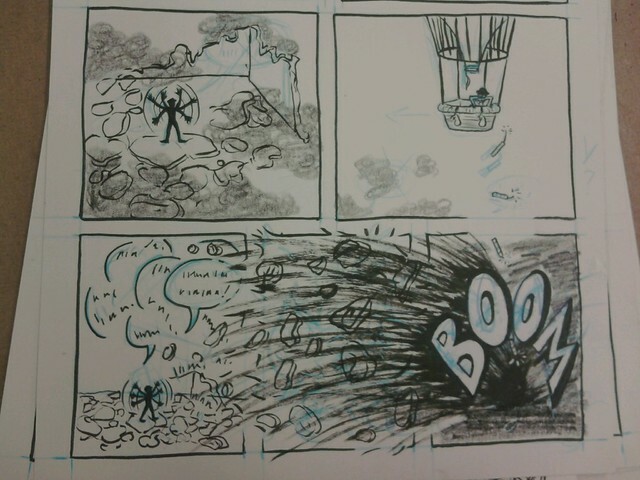 Thumbnailing, editing, penciling, inking and re-drawing all kind of stuff. 2011 is proving to be the most productive year yet!! BOOM! Great layout. And great Thompson signature! Duders. Why you gotta tease me with the sideways stack shot?! hot air balloon and dynamite?